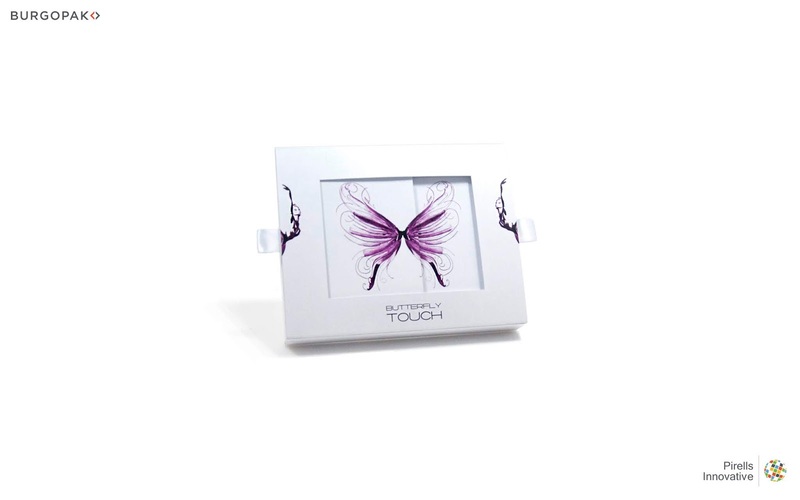 The Butterfly Touch is a packaging for a perfume based on Burgopak patented sliding mechanism. To open the packaging you have to pull two ribbons, after opening there is visible bottle of perfume. 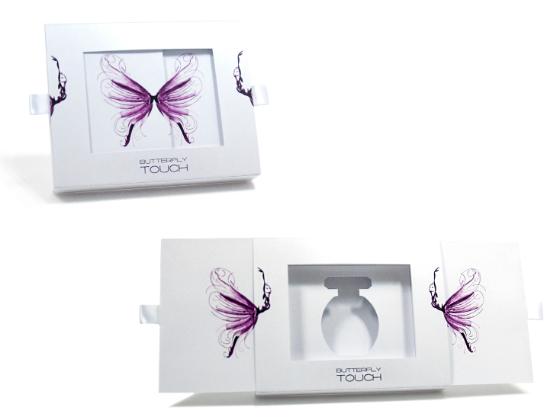 The graphic on the packaging can be dancers or butterfly. It depends on whether the box is open or closed. This solution is possible because of the Burgopak patented mechanism. The main colours of the packagings are violet, black and white. It makes the packaging simple but chic at the same time. This solution can be packaging for every premium product.